Barcelona and Madrid leading cities for Business! Research by private real estate company Cushman & Wakefield shows that Madrid and Barcelona belong to the top-10 major business cities again. The 22nd edition of Cushman & Wakefield’s survey on Europe’s major business cities have been carried out. The survey is based on reports of 500 senior executives from nine countries. Since 1990 Crushman & Wakefield's survey provides reliable overviews of corporation's perceptions about European cities and their relative attractiveness. These perceptions appear to have changed over that time. Although the ten cities mentioned in the ranking top list of Crushman & Wakefield remain in the top ten, some cities had to change place. Brussels that was ranked third last year had to climb down five positions, while Amsterdam jumped six places and arrived 4th this year. London on the contrary managed to retain its top position as number one business location. 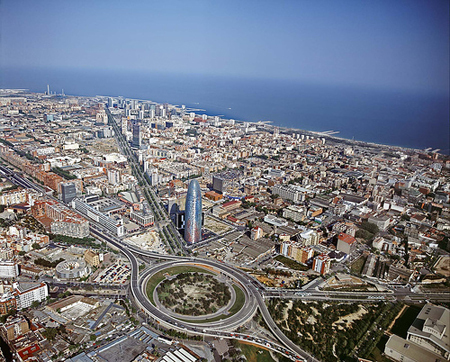 According to the list Barcelona and Madrid ranked sixth and seventh as major business cities and again Spain arrived to qualify two winning cities in the top-10 ranking list. This year the top-5 cities are Paris, London, Frankfurt, Amsterdam and Berlin. Barcelona and Madrid follow, closing the list with Brussels, Munich and Zurich. Would you like to respond to these new opportunities in Spain? Do not hesitate to contact us to see how we can be of help.